Battery occurs when one physically harms or inappropriately touches another. Assault occurs when one threatens to harm another or places another in fear of being harmed. Despite assault and battery being two separate crimes, many individuals are charged with both crimes. For example, an assault and battery occurs when one threatens another and also harms them. However, many of The Phillips Law Firm’s clients are improperly charge with both assault and battery. When someone is hurt but there was no threat or fear, an assault charge is improper. Conversely, when someone is threatened and the threatened person starts a fight, the person who did the threatening is not also liable for battery. Defense Attorney Dean Phillips often finds these situations in domestic violence cases. Georgia law defines domestic violence as any violence among a family member. A family member for domestic violence purposes is a parent, child, grandparent, aunt, uncle, or any person you have lived with. As you can see, domestic violence is overly broad and unfortunately it is common to get into physical confrontations with persons you live with. Cobb County, Bartow County, Cherokee County, and Paulding County frequently give clients a second chance. If this is your first arrest, you may be eligible for a pre-trial diversion program. These programs typically consist of community service, counseling, and a probation period. After successfully completing diversion, the prosecutor will dismiss your charges. As a result, your arrest record will be sealed. Employers will not be able to see you were arrested and you will be able to say you have not been convicted of a crime. 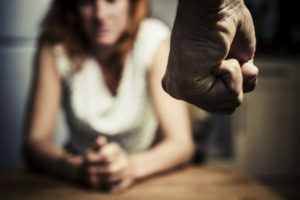 Dean Phillips has found that most attorneys are not aware of all of the implications involved with a domestic violence case. Many attorneys will have their clients plea to domestic violence or a lesser charge with no jail time. This sounds great, but a guilty plea to any crime that involved domestic violence strips a client of their second amendment right to bear arms. Even a plea to obstruction or disorderly conduct in a domestic violence case prohibits a client from possessing firearms. It is therefore imperative that you hire a knowledgeable defense attorney. Mr. Phillips represents clients charged in all types of assault and battery crimes in Marietta, Cobb County, Dallas, Paulding County, Cartersville, Bartow County, Acworth, Austell, Powder Springs, Smyrna, Kennesaw and Woodstock. For a free consultation on assault, or domestic violence defense, call 770-415-0933. Payment plans are also available.